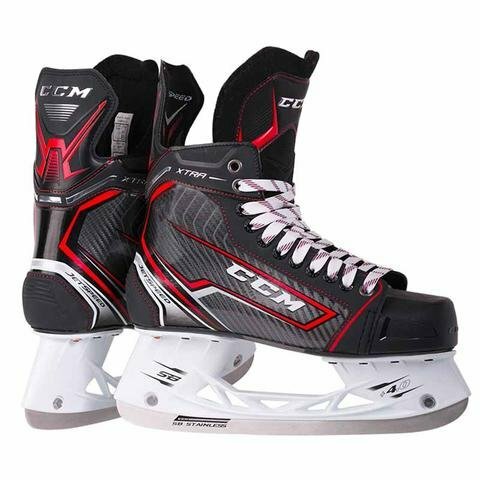 INJECTED WITH COMPOSITE SKIN - Durable boot with structural stiffness. 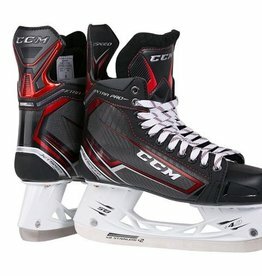 UPGRADED TO TOTALDRI LINER WITH DURAZONE ABRASION PROTECTION (FT380) - High performance moisture-wicking material keeps feet dry and skates light. UPGRADED TO 10MM BLACK FELT TONGUE WITH EMBOSSED LACE-BITE PROTECTION - 10mm felt with reinforcement layers for increased comfort and protection. INJECTED OUTSOLE WITH EXHAUST SYSTEM - Helps energy transfer with every stride. 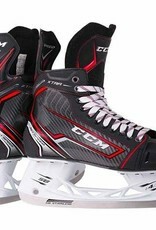 CCM ANATOMICAL RESPONSE - Provides support and comfort. SPEEDBLADE STAINLESS STEEL - Provides a long lasting edge for long term performance.